You know my life is busy when I'm not reading. I have to be super busy not to be able to read. (Or I have to think I'm too busy to read. It's one of the two.) From October - December of 2017 the only thing I managed to read were books aloud to the kids and I was playing major catch up in my Chronological Bible in order to complete reading the Bible though by the end of the year. You can see my 2017 Reading List here. I link reviews to titles and one thing you'll quickly notice is that while I read a little, I wrote even less. The sad thing to me is that I have a bad memory when it comes to books and writing out my thoughts on them helps to solidify stories and information. For that reason, I am sorry that I dropped book blogging because there is likely much more information lost than in year's past. While I hope to correct that this year, one never knows how life will go! Meanwhile, I thought I'd take a quick moment to record my favorite reads of 2017. As I mentioned earlier this week, this past fall our family went to Prince Edward Island on vacation and so the large chunk of my 2017 reading was focused on the works of Lucy Maud Montgomery. 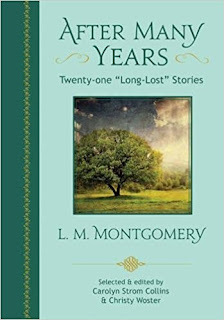 A huge treat and treasure was picking up a copy of After Many Years: Twenty-One "Long-Lost" Stories by Montgomery. If I had to pick a favorite of my Montgomery-related reads, I'd have to pick this After Many Years because it was fresh, new and therefore especially fun! As a bonus, I purchased my copy of After Many Years at the site of Maud's Cavendish Home and it is stamped as such. 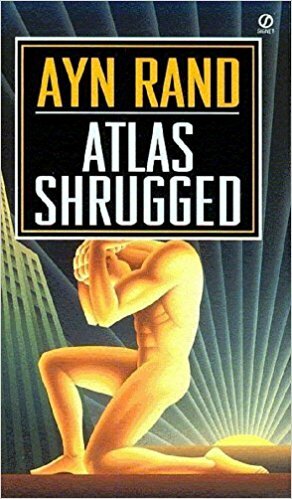 The book I feel most accomplished for having read (or, uh, finished) was Atlas Shrugged and I made a very short blog post about that! Atlas Shrugged was tremendously fulfilling but a great deal of work! I can honestly say I enjoyed it and that I'm glad to have read it. Also, I'm glad it's over. I'm still a huge fan of D.E. Stevenson books and still devour everyone that I can lay my hands on. This year I was blessed to read three different titles by this delightful author. If I had to choose a favorite I guess I'd say I most enjoyed Celia's House. 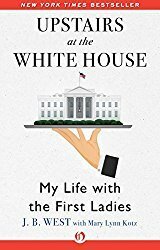 One of the most interesting books I read this past year was most definitely Upstairs at the White House: My Life with the First Ladies, by J.B. West. 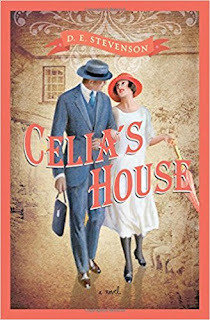 I picked this up during one of Amazon's Deal of the Day offers on the Kindle and I'm SO glad that I did. This title is absolutely fascinating. If you want to get a better picture of what the life of any random First Lady is like, then this is the book for you. West served as Chief Usher at the White House for decades and he recounts his experiences with six of our nation's First Ladies. What I love is that he didn't write this book to "dish" on any one particular First Lady but to explain an institution. It's fabulously well done. Take a trip down memory lane with this one and enjoy the ride! This past year was probably the year I learned the valuable importance of the read aloud book for me, the mother. If the only book I get to spend time with is the one that I also will be sharing with my kids, I want to make that read aloud a particularly good one! (I can see some of you smiling and nodding your heads even now!) Once upon a time I was browsing the bookshelves at Powell's up in Portland. 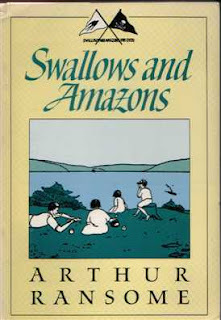 A dad approached me to ask if I had read the Swallows and Amazons series yet. He raved for a few minutes about how he had read them aloud to his kids and absolutely loved them. His sales pitch sold me and I purchased a couple of the titles. Fast forward to 2017 and it looked like the reading level would be appropriate for almost all of our kids (ages 3- 11 now!) and so I pulled Swallows and Amazons off the shelf and read it aloud. This twelve book series is set in between the World Wars and is set in the Lake District in England. Published in the 1930's, these books were the Harry Potter series of their day and they deserve another go 'round. It follows the adventures of four siblings and their explorations as they sail and camp and make friends with the locals on their holidays. We read the first book and immediately chased that book down with the second, Swallowdale. I loved these books so much that I think I have to declare them my top favorite books read in 2017! They are wonderful! Oh, and the kids liked them too. However, they did request a break before we move onto the third book in the series so I've complied with the request. Just you wait though because the moment I am "allowed" to go back in the world of the Swallows, I'll be there in a heartbeat! Also, I'm pretty sure I want to spend the rest of my life in the Lake District in England. That pretty much summarizes my reading year. What about yours? If you've written up an end of the year reflection post, I'd love to see it! Leave the link in the comment section and I'll go visitin' my old book blogging buddies and catch up a bit! Happy New Year to you all! I really have missed you! Oh - and I know what you mean about forgetting details and impressions gleaned from what we've read. In trying to think of the best ways to use my time, I keep thinking maybe I should make my book reviews shorter - but one reason I write them is for me to record everything I want to remember about them, so I keep writing my wordy ones. I hate when I look up a book on my blog only to find that I didn't review it, and I know I read it but can't remember much about it. Swallows and Amazons has duly been moved to the top of my TBR pile! Well, I do hope you can read more books this year (and share about them). I've enjoyed your reviews for a long time now. I like to think that I write book reviews for myself -- so that whenever I need to refresh myself on a certain title, I'll know exactly how I felt after reading it the first time. It's been so helpful already, and I know it will continue to be in the future. The fact that other people may find my review helpful online, is really only a sidenote.